Discover more about complementary therapies and well-being with free, expert-led podcasts. We’ve put together a quick list of some of the top free podcasts available through iTunes, Google Play, Stitcher, and other great podcasting platforms. Each can help introduce you to alternative therapies, with many hosts and special guests sharing first-hand experiences with the goal of making well-being, self-care, and wellness more accessible. 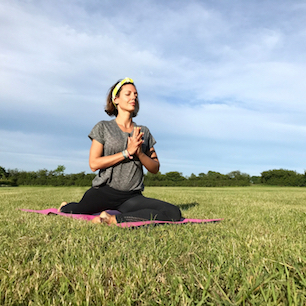 Best-selling author, Instagram sensation, international yoga speaker and teacher Rachel Brathen, better known as Yoga Girl, shares new episodes of her podcast each week. From The Heart: Conversations With Yoga Girl combines a mixture of talks and stories from Rachel and special guests. Topics range from yoga and well-being to love and trust, finding balance, and overcoming adversity. One of the top rated essential oil podcasts in the world, The Essential Oil Revolution Podcast aims to help listeners take control of their health and share their passion for wellness with others. 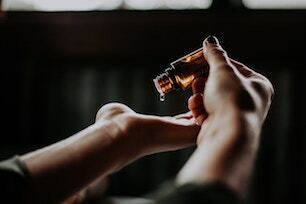 Created for those who are new to essential oils, as well as those who are experienced and professional practitioners aline, each week host Samantha Lee Wright interviews an inspiring expert about essential oils and the benefits they can have on health, fitness, nutrition, and more. Offering practical advice, DIY recipes, and healthy living tips, the podcast has nearly a million downloads to date. Named one of iTunes best podcasts of 2015, one of the Academy of Podcasters best podcasts of 2016, recommended by BuzzFeed, and boasting over 42 million downloads (and counting), Happier with Gretchen Rubin is one of the top self-help podcasts out there. Created by best-selling author Gretchen and co-hosted with her younger sister (and happiness guinea pig) Elizabeth Craft, who often refers to Gretchen as her ‘happiness bully’, together they give listeners practical, manageable advice about happiness and good habits with their lively, thought-provoking podcast. Hosted by Sky sports presenter and author Tony Wrighton, join Zestology on a journey to discover more about energy, vitality, and motivation. Full of health and well-being tips with interviews from some of the most respected and well-known experts around, Zestology covers a little bit of everything. From breathing exercises to eastern healing, healthy eating myths to sleeping patterns and energy levels. Zestology isn’t afraid to show the occasional experiment going wrong either, providing a refreshingly honest take on some complex subjects. While not a traditional podcast, Deep Energy 2.0 is a great, regularly updated music and sound podcast. Each episode, typically 30 minutes to an hour in length, provides music that can make a great peaceful background while meditating, relaxing, receiving a massage, or practicing yoga. Filled with motivational interviews with wellness pioneers, cutting-edge thinkers, and entrepreneurs, MindBodyGreen founder and CEO Jason Wachob takes listeners on a mental, physical, spiritual, and environmental well-being journey. This unscripted podcast looks at the stories behind some of the biggest names in wellness, from their personal journeys and struggles, to how they got to where they are today. Featuring inspiring first-hand accounts of how wellness can transform lives MindBodyGreen takes a look at health, far eastern medicines, nutrition, fitness, and more. Offering insider knowledge and perspective on treatment technique, philosophies, and medicine with a particular focus around physical and sports therapies, the Therapy Insiders Podcast aims to separate the fluff from the relevant information for listeners. Each episode presents a new topic before picking it apart to help listeners learn more about topics from joint manipulation to sports rehabilitation.